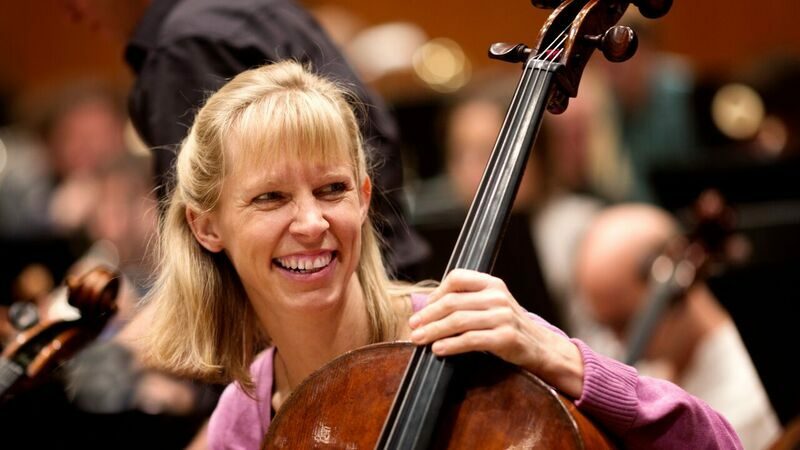 Uta Zenke-Vogelmann was born in Cologne and received her first cello lessons from S. Bohn-Schultze. In 1989 she was accepted as a junior student at the Music Academy in Cologne with Professor Kanngiesser. After her school exams she studied with Professors M. Nyikos in Berlin and M. Ostertag in Karlsruhe, where she passed her diploma with special honors. There followed further studies with T. Demenga in Basle, which she completed with the soloists’ diploma in 1999. Uta Zenke-Vogelmann has attended master classes with D. Geringas, W. Boettcher, B. Pergamenschikov and G. Faust. She also received instruction in chamber music from members of the Amadeus, Brandis and Cleveland Quartets as well from W. Levin, H. Beyerle, P. Eötvös and others. Uta Zenke-Vogelmann received a grant from the Villa Musica chamber music foundation and the German Academic Exchange Service and was provided with old Italian celli from the special collection of the state of Baden-Württemberg for many years. She has won prizes in competitions for solo and duo playing in Barcelona/Capellades, Manresa, Gubbio and Liezen (Austria). Uta Zenke-Vogelmann has recorded solo and chamber works for the South-West, North German and Hesse radio stations. From 1994-99 she taught at the Music Teaching Academy in Karlsruhe. Her experience of orchestral playing was gathered in the German Youth Orchestra, in the Schleswig-Holstein Festival Orchestra and in the European Union Youth Orchestra, where she ended up as solo cellist. In the 1996/97 season she was a trainee in the SWF-Sinfonieorchester Baden-Baden/Freiburg, before she became a member of the Symphonieorchester des Bayerischen Rundfunks in 1999.